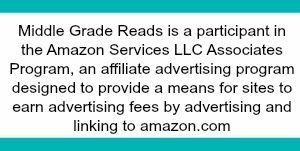 With literally thousands upon thousands of middle grade books out there, it’s highly unlikely that our kids are going to be able to read every extraordinary story in their lifetime! As an avid reader, I know I’ve only barely scratched the surface of the world of books. 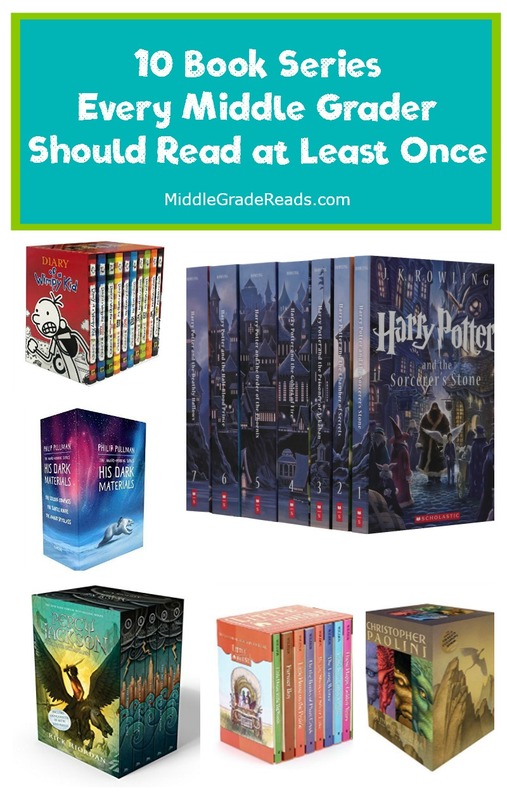 If you’re looking for a great starting point to introduce tweens to a whole new world of fiction- or just want to help build the ultimate TBR list for them- check out 10 book series that every middle grader should read at least once in their lifetime…preferably before high school! I’m a HUGE Harry Potter fan, so of course this is number #1 on my list! While there were plenty of middle grade books before J.K. Rowling’s masterpiece ever hit the shelves, I feel like she really brought the category to life. She encouraged generations of tweens to pick up a book, expand the limits of their imaginations, and dream big! Even adults were keeping an eye out for our invitation to Hogwarts, admit it! The Harry Potter series isn’t just a spectacular magical adventure, it is full of positive lessons for kids of all ages (including us kids at heart). It’s about family and friendship, beating impossible odds, staying true to yourself. About standing up to bullies and backing your friends up when they’re being picked on. The series has even inspired lesson plans in middle schools! If your tweens read just one series on this list, make it Harry Potter! 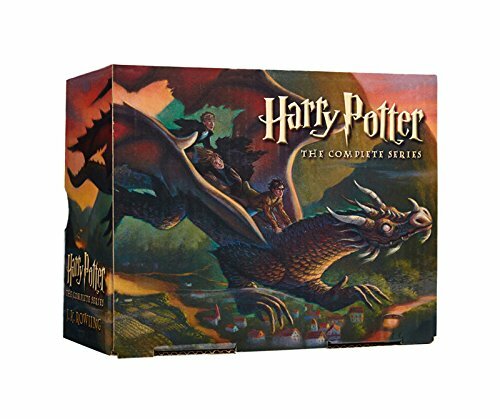 Get the entire Harry Potter Paperback Box Set Books 1-7! 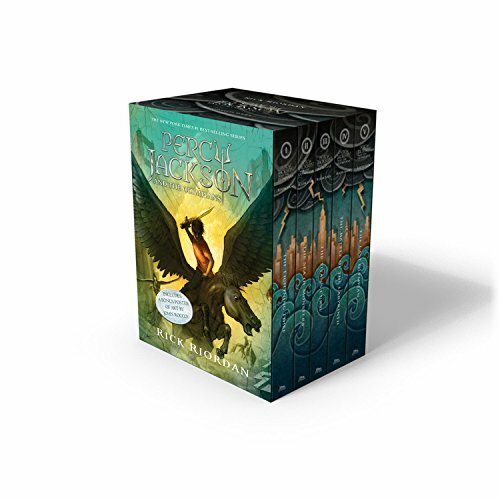 Rick Riordan has written several fascinating series based on mythological gods, but the Percy Jackson and the Olympians series will always be my favorite. Like Harry Potter, this series inspires our kids to be true to themselves and to stand beside their friends. It also teaches them that with hard work (and a good sense of humor), you can overcome anything…even taking down the gods that created the gods (the Titans). Of course, it also helps to have a pen that turns into a sword! Now for something a little different, Diary of a Wimpy Kid by Jeff Kinney is one of the few middle grade book series on this list that doesn’t fall into the fantasy character. Still, it does have many of the same messages that make the other series so meaningful. Grey Heffley (the titular “wimpy” kid) is just starting middle school, where the bullies are meaner, taller, and already shaving. Undersized weaklings like him don’t stand a chance…or do they? Diary of a Wimpy Kid succeeds because so many tweens can relate to Greg’s plight, which he shares in vivid and hilarious detail in his journal. This is my son’s all-time favorite series. He has read all of the books at least twice. They’re kind of his “go-to” when he needs to bring a book somewhere…or when our power goes out for days on end! Happens more often than I’d like here in the Poconos. The fact that he never gets bored with re-reading them goes to show just how engaging they are for tweens and young teens! 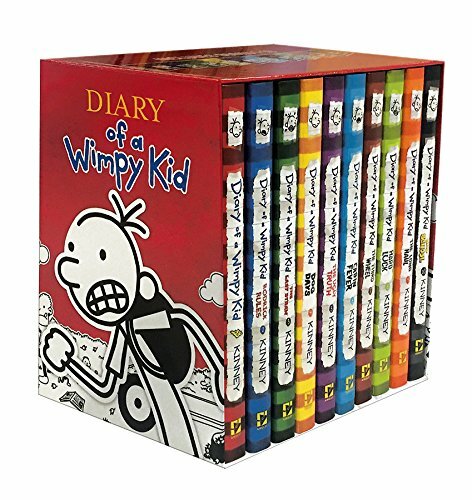 Get Diary of a Wimpy Kid Box of Books with the first 10 books! The City of Ember series is a great “dystopian starter” series. It takes place in a post-apocalyptic underground world that is falling apart. Lina Mayfleet, the main character, along with her friend Doon Harrow, follow clues that the original builders left behind. These clues will lead them to the outside world and teach them how to survive in it. While the story is dystopian in nature, it’s not as severe as some of the YA series in the same genre. The Mayor of Ember threatens to throw Lina and Doon in jail, not force them into a “kill or be killed” arena! While I’m not one for censoring what my son reads, if you have a tween interested in The Hunger Games and don’t feel like they’re ready for the series yet, City of Ember is a good kid-friendly alternative to satisfy their post-apocalyptic cravings. 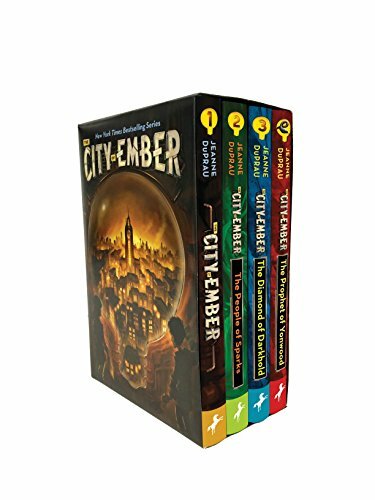 Grab The City of Ember Complete Boxed Set! 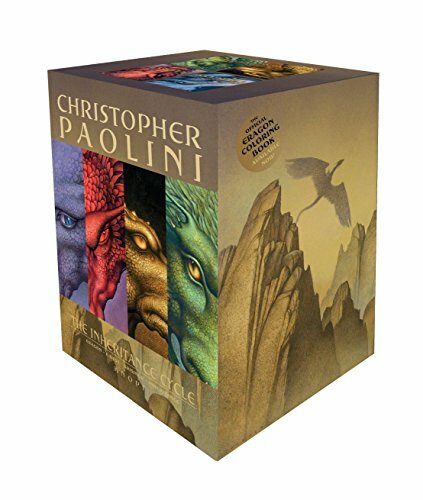 The Inheritance Cycle is what I would call “high fantasy,” because it takes place in a completely different world filled with dragons and magic. Eragon, a poor young farmer, discovers what he thinks is a priceless gem that will yield him a fortune. Then the gem hatches! Eragon realizes that he not only has to care for a baby dragon now, but he’s stumbled upon a destiny that will completely change his life forever. Is he up to the task? Eragon, the first book, was made into a movie a few years ago. Unfortunately, it didn’t quite live up to expectations, earning a mere 16% rating on Rotten Tomatoes. I thought it was okay! Not epic, but entertaining enough. I’d definitely recommend the books, though. If you’re watching this series on Netflix, you definitely need to see where it all started! 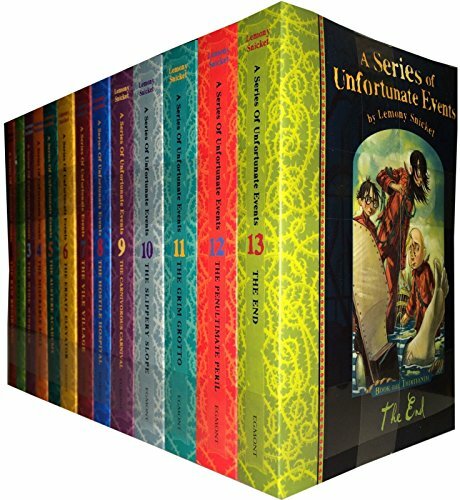 A Series of Unfortunate Events by Lemony Snicket is disturbing and clever, funny and creepy! Nothing ever seems to go write for orphans Violet, Klaus, and Sonny! One thing is for sure, when the author warns you to “Proceed, but cautiously,” you know you’re in for a bumpy ride! One reason I LOVE this series to much (and you’ll see this in many of the series I recommend): the main protagonists are just so smart. In a world that seems to worship ditzy socialites, it’s important to me to show my son that intelligence is still very, very cool. Artemis Fowl is a millionaire criminal mastermind! He’s also only 12 years old! If you’re thinking “gee, I’m not so sure I want my kid getting any ideas,” hold on a sec, okay? This series is not only a must-read because it’s just plain fun (and very well-written), but also because it kind of introduces tweens to the concept of flawed hero. Artemis isn’t a criminal just for the sake of committing crimes. There’s a very deep and personal reason behind it. He’s trying to save his mother. 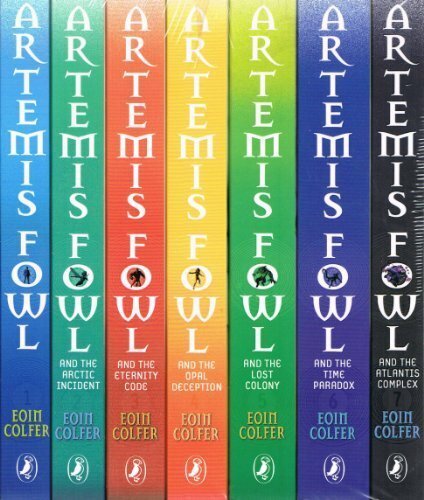 Where Artemis is a genius criminal mastermind, I have to say that Eoin Colfer is a genius writing mastermind! He manages to write incredibly smart books that are still easily digested by tweens with a short attention span. 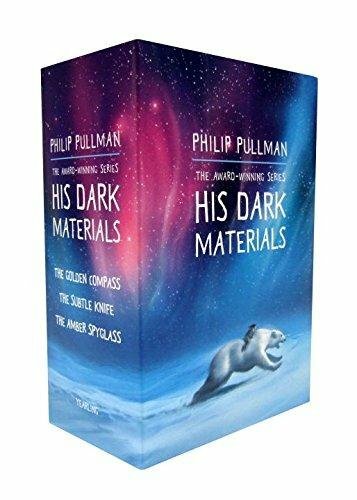 His Dark Materials by Phillip Pullman is probably one of my all-time favorite fantasy middle grade books. The series often appears on banned book lists across the US. In fact, it earned the dubious distinction of being the #2 most banned series! Why all the banning? One word: magic. The stories are filled with witches, talking bears, and magical adventures. It doesn’t help that Pullman himself is an atheist, and those who want to ban him view his series as sort of an atheist primer. Ridiculous, really. It’s just an incredibly stunning adventure series! I promise your kids won’t become atheists after reading it! I will say this, though: His Dark Materials is definitely for older tweens. I’d say around 7th or 8th grade, unless your child is an advanced reader. It’s not so much that the themes are geared towards older kids, but that the writing is a bit more intense. Stunning, but intense. It may seem weird to have The Chronicles of Narnia follow His Dark Materials, as the two authors are on complete opposite ends of the spiritual spectrum. I’ll be honest here, I’m not a religious person, so I can’t relate to the not-so-hidden symbolism throughout C. S. Lewis’ most famous series. That’s okay, though. 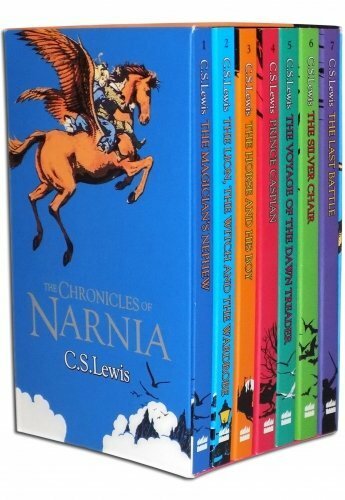 You don’t have to subscribe to a specific mode of spirituality to enjoy The Chronicles of Narnia, or to take away a positive message from it. 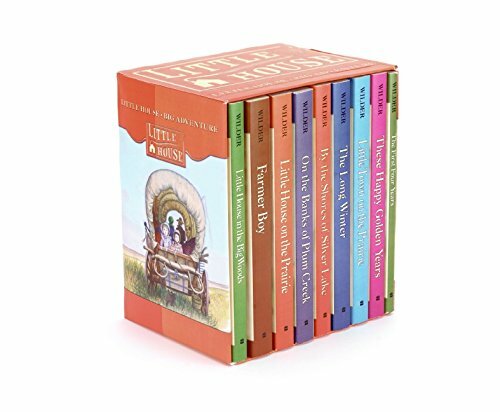 Now for something completely different, The Little House series by Laura Ingalls Wilder was one of my favorites as a middle school kid! I still have my boxed set from all those years ago (I’m not going to tell you how long ago that was, but let’s just say I remember when Madonna first became a Material Girl). I think the series is even more important in today’s fast-paced, high-tech world. It gives us a better appreciation for all the advances that we have and encourages kids to imagine what life was like before cell phones, the internet, or even before electricity and cars! As I mentioned above, my power goes out if a squirrel so much as sneezes within 50 feet of a power line. My great love for Little House has gotten me through some really dark times (literally)! 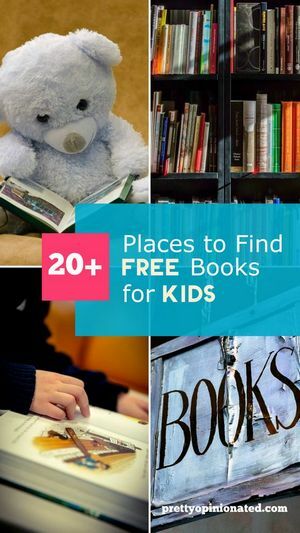 There are so many more fabulous series out there, but this felt like a good starting point both for kids and for my very first post. I’ll be covering many, many more middle grade books, so please come back and see me again sometime! I’d love to hear from you! What middle grade book series would you recommend? Tell me in the comments!